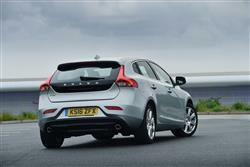 The Volvo V40 is a slick and wholly convincing family hatch. Where V used to mean 'estate' in Volvo nomenclature, here it's a five-door hatch with a broad range of engines and some delightful interior detailing. The styling's slick too, especially in this improved version with its smarter LED headlights. In short, prepare to be surprised. Even by the least powerful entry-level D2 variant, now with 'Drive-E' technology. We've come to think of Volvo as one of the most conservative of car manufactures, based in no small part on the corporate messages of safety, family and environment. Hardly hedonistic is it? While the messages from Gothenburg preach unthreatening responsibility, the products that Volvo has been building in recent years are a good deal more daring. That's in marked contrast to most car manufacturers who promise the world and then sell you what, after you've stripped away the pretensions, are often quite dull vehicles. 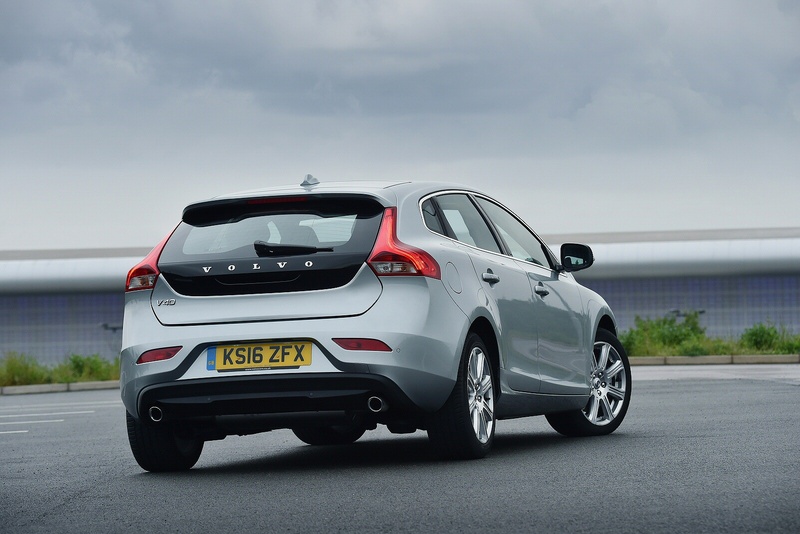 The Volvo V40 and V50 models used to be dull. Wholly, terminally dull. Worthy, yes, but nothing aspirational. That has changed, and how. 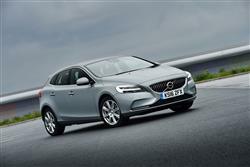 The latest generation V40 is poised, polished and might just be the coolest five-door hatch around right now. Yes, that's right, a five-door hatch. Perhaps Volvo belatedly realised that it needed to chase the big numbers in this sector, or maybe the Kronor finally dropped that people don't tend to want small estates, but the V40 attacks a new sector of the market and does so convincingly. What's more, it replaced both the old V50 and the S40 saloon to boot. In other words, it has some serious expectation heaped upon it. Over 60% of UK sales will be of this entry-level D2 diesel version. Let's put this improved version to the test. It's true that Volvo is no longer part of Ford's Premier Auto Group, instead being owned since 2010 by Zhejiang Geely of China. Planning horizons being as long as they are, however, it won't come as any great surprise to learn that most of the underpinnings of the V40 are shared with the latest Ford Focus. If there's a more cast-iron guarantor of a decent drive in the family hatch sector than that, we've yet to find it. 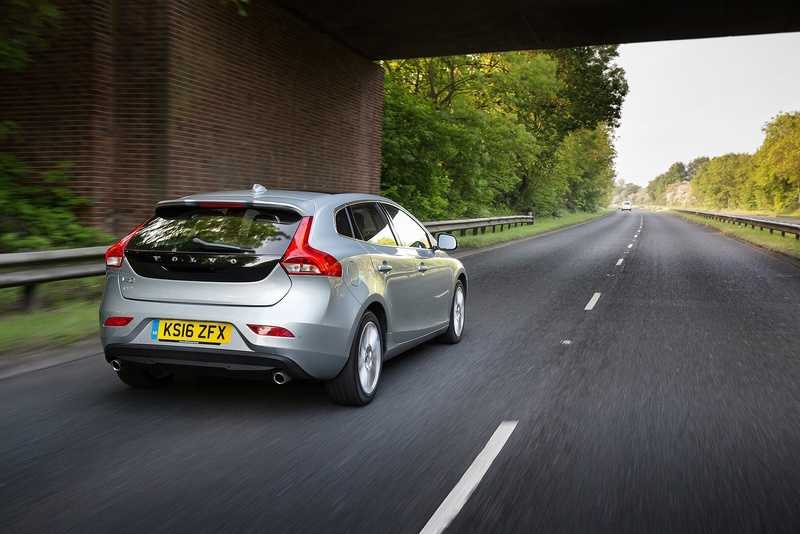 Most British-bought V40s though, will deliver diesel drive via a piece of engineering that isn't Ford-derived, the 120bhp 'Drive-E' unit featured here. It's no ball of fire of course - sixty takes 10.5s on the way to 118mph - but it's as fast as most will need it to be and 280Nm of torque means you won't have to row the car along with the gearlever in town, an environment where, to be honest, you might appreciate rather better rear three-quarter vision. Here's a hatch clearly developed by people who care about driving. The result is a very good compromise indeed of absorbent ride and assured handling composure. 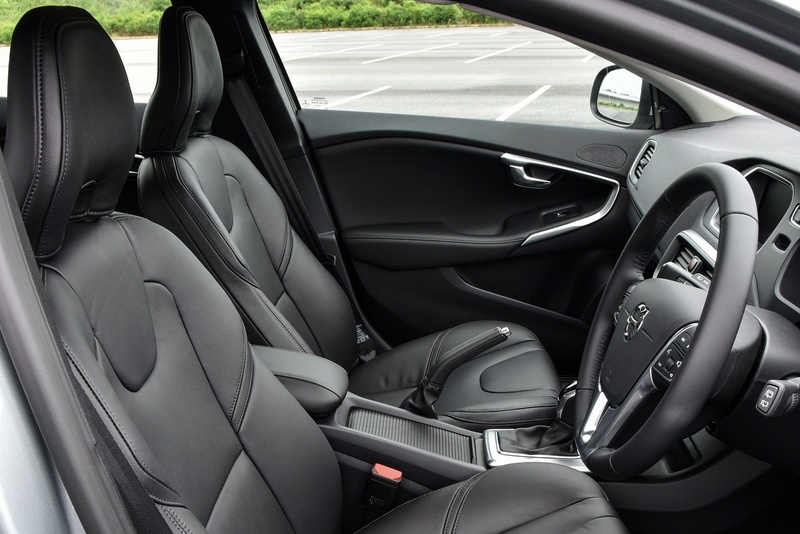 You can always spoil it if you want to by opting for a 'sports' chassis that offers firmer springs and dampers and lowers the ride height by just under half an inch, also lowering the centre of gravity. 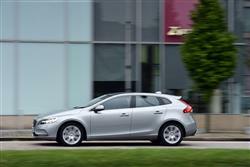 Priced at just over the £21,000 mark, the D2 is the most affordable model in the V40 line-up. 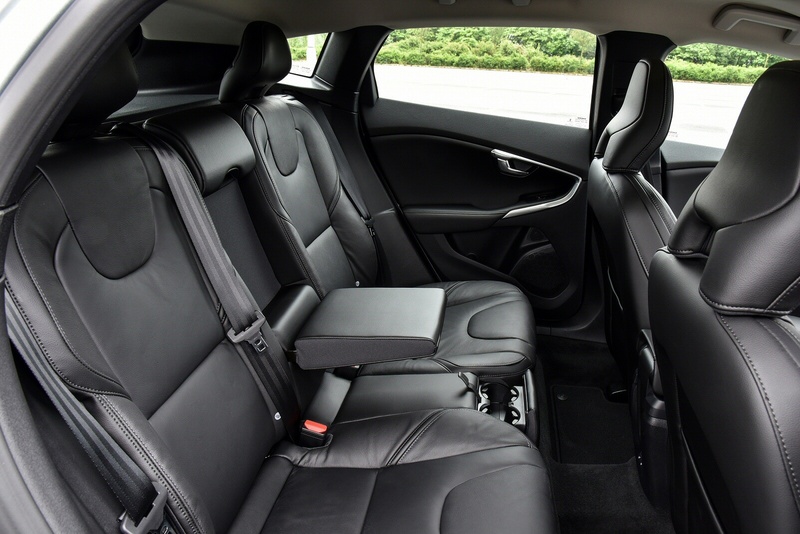 As with any car in this class, Volvo has striven to offer as many high-tech options as possible, integrating the sort of features that not so long ago were the preserve of some seriously high-end vehicles. We've got used to features such as adaptive cruise control, blind spot assistance and lane keeping assistance and the V40 offers all of these features. Reducing personal injury claims, especially around town, is a growing concern for both manufacturers and insurers alike and Volvo's City Safety function now functions at up to 50km/h rather than the original version's 30km/h limit. City Safety keeps an eye on traffic in front using a laser sensor integrated into the top of the windscreen at the height of the rear-view mirror. The car automatically brakes if the driver fails to react in time when the vehicle in front slows down or stops - or if the car is approaching a stationary vehicle too fast. There's also a Driver Alert system and a revised knee airbag design. Plus Pedestrian Detection with full auto brake is a technology that sees its debut in this class of vehicle. It can detect if a pedestrian steps out into the road in front of the car. If the driver does not respond in time, the car can warn and automatically activate the brakes. Pedestrian Detection with full auto brake consists of a radar unit integrated into the car's grille, a camera fitted in front of the interior rear-view mirror, and a central control unit. The radar's task is to detect a pedestrian or vehicle in front of the car and to determine the distance to it while the camera determines what type of object it is. It works at speeds of up to 35 km/h. If you want the reason why more than 60% of all UK V40 customers will end up buying the least powerful 120bhp D2 diesel variant, then you don't have to look far to find it. This model is capable of a headline-grabbing 78.5mpg on the combined cycle and a 94g/km of CO2 reading that'll side-steps the need for road tax and payment of the London congestion charge. I should point out that the super-frugal returns I'm talking about only apply if this V40 is fitted with an appropriately weedy set of wheels and tyres. Bigger sizes have quite an impact on those figures, so be warned. And residuals? 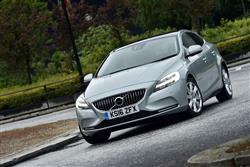 Well, the public has taken well to the V40 and as such, these are climbing up towards Teutonic levels. Expect an entry level D2 diesel, for example, still to be worth 50 per cent of its original price after three years and 30,000 miles. That's way better than all of the mainstream marques, which will help you justify the premium necessary over them for ownership of this car. 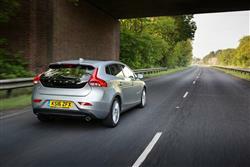 If you�re looking for a new Volvo V40 D2  Momentum 5dr Diesel Hatchback for sale, you�ve come to the right place. 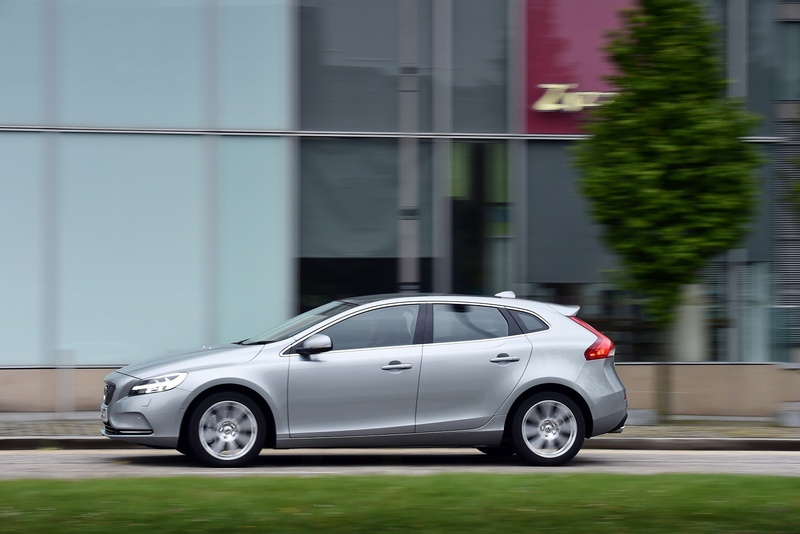 At Bristol Street Motors we don�t just have the best Volvo V40 D2  Momentum 5dr Diesel Hatchback deals, we also offer friendly advice and help with all your enquiries to ensure your buying experience is a happy experience.